A Shepherd's Heart: David Harsh's New Album - Available 11/18/06! 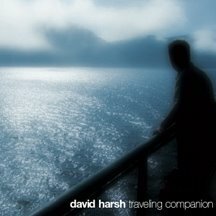 At the end of July you may recall a post where I shared with you about a phenomenal minister of music named David Harsh. I'm excited to let you know David has a new Album being released on 11/18/06!! David is an independent minister/artist and in support of his ministry I wanted to forward the following information on to you with hope that you'll also pray regularly for his ministry! Come to the CD Release Concert on November 18! A freewill offering will be taken, and all ages are welcome. Childcare WILL BE PROVIDED for children under the age of 5, but you must pre-register with Karen Smith by November 10, either via e-mail (karensmith@spconline.org) or by phone (425) 868-5186, ext. 116. There will be a $5.00 charge per child, with a maximum of $10.00 charged per family. Children ages 6 and over are encouraged to attend the concert with their parents. The release concert is not a ticketed event, but we anticipate a packed house. If you want to get a seat, please arrive early. The sanctuary doors will open at 6:30 p.m., and there will be a 20-minute intermission. Again, please pray and support David and Whitney Harsh's ministry as God leads.